Therm-A-Rest NeoAir XLite Small part of the Fast and Light range by Thermarest is a mattress delivers more warmth and comfort per ounce than any other three-season air mattress available. Thermarest's patent-pending technologies deliver that performance with minimal weight and less bulk than a one-liter water bottle. For the discerning adventure runner, multi-stage desert runner, alpinist, hiker or backcountry minimalist who’s counting every ounce, there is simply no better choice to assure the kind of rest you need to get done what you’ve got planned for the next stage. Ultra-Packable: Low-bulk materials make the Thermarest NeoAir XLite mattress the most compact NeoAir mattress ever – as packable as a water bottle. 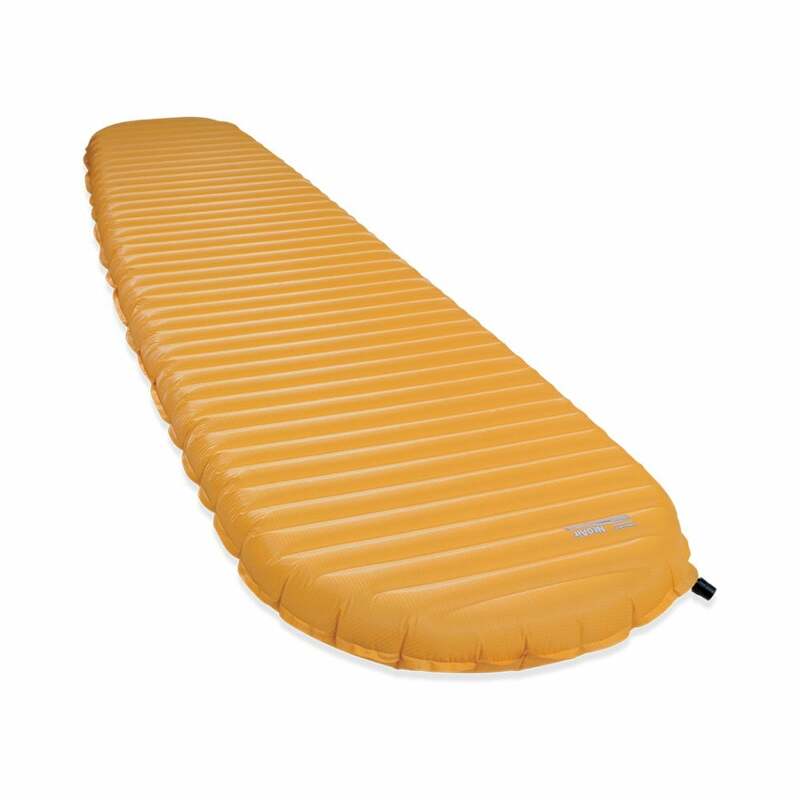 The original Therm-a-Rest NeoAir mattress received an Editors’ Choice Award from BACKPACKER magazine in 2009 for its unprecedented comfort-to-warmth-to-weight ratio. The NeoAir XLite mattress—an evolution of the original NeoAir mattress with tapered design and increased warmth—has been honored with an Editors’ Choice Update Award (2012) for delivering even more performance for six ounces less.